Second printing was in 1976 in Fresno, California. 134 pages including 12 illustrations. 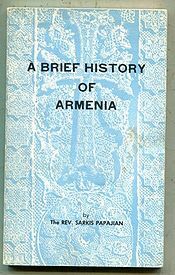 Facts about "A Brief History of Armenia"
This page was last edited on 26 April 2019, at 04:43.